OMG! Isso está lindo demais <3 O momento da Chanel em que todos estavam esperando chegou! OMG! This is soo beatiful <3 The moment we have all been waiting for is finally here! 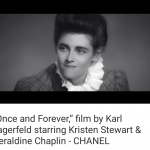 Lembra deste post (http://getthelook.com.br/2015/11/forever-chanel-kristen-stewart/) com o trailer de um filme da CHANEL onde Kristen Stewart seria Gabrielle Chanel? Remember that previously post, obout the trailers of the new CHANEL’s film where Kristen Stewart is Grabrielle Chanel, as her caracter? Finalmente podemos ver Kristen Stewart assumir o papel de Coco Chanel, dirigida por Karl Lagerfeld. O filme de 11 minutos estreou no Métiers d’ Art em Roma nesta terça (01/12) e além de não decepcionar, este é o papel mais elegante de Kristen até hoje! 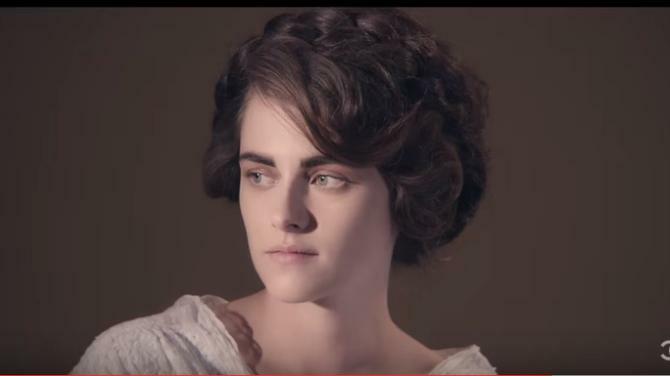 We can finally watch Kristen Stewart, take on the role of Coco Chanel, directed by Karl Lagerfeld. The 11-minute film premiered at Chanel’s Metiers d’Art show in Rome on December 1 — and Kristen definitely didn’t disappoint! This is Kristen’s most stylish role to date. Reparem em como as sobrancelhas de Kristen foram realçadas a deixando ainda mais parecida com Coco. 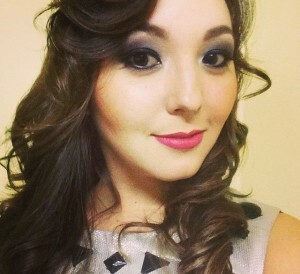 Look how her eyebrows are bold, letting Kristen like Coco. A estrela interpreta uma atriz que é escolhida para assumir o papel de Coco mais jovem. Ela atua ao lado de Geraldine, que reprisa seu papel como Coco Chanel de meia-idade no filme de 11 minutos que foi filmado em dois dias no estúdio de Luc Besson Paris em julho de 2015. The star plays an actress who is chosen to take on the role of a young Coco Chanel. She stars alongside Geraldine, who reprises her role as a middle-aged Coco Chanel in the 11-minute film which was shot in two days at Luc Besson‘s Paris studio in July 2015. 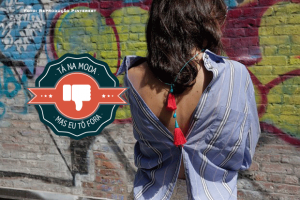 Me acompanhe nas mídias sociais e não perca mais nenhuma novidade fashion. Follow me on social media and do not miss any more fashion news.